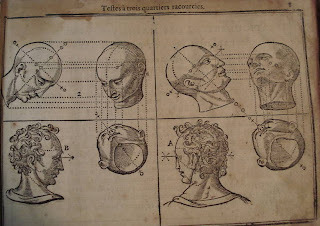 Woodcut prints from Jehan Cousin's 1676 book titled The Science of Portraiture Described and Demonstated are shown. 1. 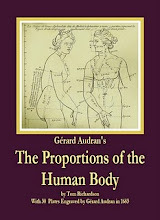 Features and proportions of the human body, both from the front and rear. 2. 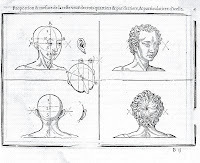 Shortcuts to drawing the head in three quarter view. Jehan Cousin the younger was born in France around 1522. He was the son of the famous painter and sculptor Jean Cousin the Elder who was often compared to Albrecht Dürer. 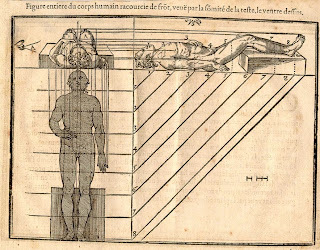 Just before his death, Jehan the elder published his noted work Livre de Perspective in 1560 in which he noted that his son would soon be publishing a companion entitled, Livre de Pourtraicture. 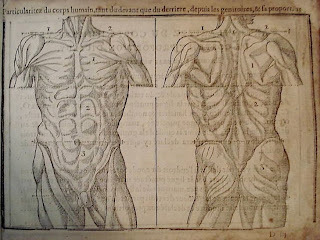 The National Institute of Health, Historical Anatomies. Livre de Pourtraicture at Ebay.com. This is a description from the Bookseller Antiquariaat Forum in the Netherlands who has a copy for sale at Abebooks.com. The Le Bé edition of 1676 of this beautiful and celebrated woodcut drawing book for the use of all kinds of draughtsmen and artists, like painters, sculptors, architects, gold and silver-smiths, embroiderers and cabinetmakers, with the original blocks which Le Blé had acquired from J. le Clerc. The earliest Le Clerc edition had appeared in 1595, followed by at least seven other editions. The very first edition, under the title Livre de pourtraicture is from 1560. Later editions were published with the title L'art de dessiner. The human models are beautifully drawn and cut in wood, with the shadowy parts and the perspectival projections darkly hatched.his father, Jehan Cousin Sr, the younger Cousin (ca. 1522-1594) was an important artist; his contemporaries often compared him with Dürer. He is also the author of several treatises on the theory of art of which this one on portrait painting, is the most important. 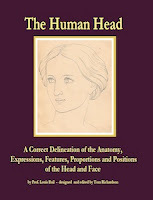 The treatise is inspired by Vitruvius's work on the proportions of the human body and it served for a long time as 'The' manual for artists in this field. Probably he composed this work together and in collaboration with his father, Jehan Cousin Sr. (ca. 1490-1560), who announces the publication of his son's work in his own, very famous book Livre de perspective - also published in 1560. 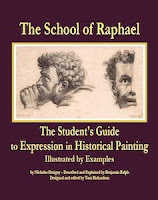 According to the Dictionary of Painters and Engravers: Biographical and Critical By Michael Bryan, Robert Edmund Graves, Walter Armstrong, Published by G. Bell and sons, 1889, Aubin Olivier a die sinker and engraver of wood, as well as the director of the Mint under Henri II in 1553 was the wood engraver along with Jean le Royer of the Livre de Perspective. Link to an online edition of Livre de Perspective.